In the distance would come the sharp crack of lightning and then followed by the rolling boom of thunder that passes out over the land. A large blue figure would dart through the clouds, using the storm to his benefit as he gathered up the lightning. With each pass through the dark cloud electricity would gather around him, bolts of lightning drawn from the cloud and gathering upon his blue scales as he prepares himself. Minutes later the blue dragon would glide down away from the clouds, his body covered in lightning as golden eyes searched the land below. Focusing upon an opening in the forest in the hopes there may be game within. Drawing close to the treetops his wings pump powerfully as he passes over the meadow, seeing a small herd of grazing deer. Jaws opening and lightning would gather briefly and then suddenly shoot out with a resounding crack and a flash as the lightning leapt from him and struck the nearest deer and then split, arcing off and striking the three surrounding deer dead while the rest scatter in terror and flee into the safety of the forest. With a lazy loop he returns to the meadow, landing near the smolder deer carcasses. His claws scraping the ground as he would hungerly attack the first two deer, ripping them apart and devouring them before finally slowing. Blood smeared over his chest and snout as he now takes the time to stop and listen. Wondering perhaps if his hunt had been detected. Snorts loudly and focuses upon vulcan. "You're a fool to talk down when you know seemingly nothing. Coming here, crowding around my kills after I've arrived from a long journey. You're just a fool, now run along before I rend your wings from your body for such insolence." Lightning crackled upon his scale as he turns, golden eyes scanning over the others wondering if they would insult him as well. The scent of ozone growing around him. "Now, I care not if you all know each other. I don't know any of you, and I don't trust any of you because despite appearances I've not seen a single dragon among you. Come forward and announce yourselves." Chibi flew in upon the group of dragons. She didn't know why they were they, but the new dragon that she had never seen was particularly rude, and shouted so loud that she could hear. Chibi landed on the ground in fron of the dragon and shouted. "Fool! Go pick on somebody your own size! Only the WEAK fight dragons of lower levels, or even imtimidate. there is no reason for you to harm these dragons. Right now if they wanted to they could harm you! So show some respect!" She went on her two hind legs and spat on the ground. Vulcan had enough. That newcomer was rude and now even started to call him in out in front of them all. His hammer began to glow as Vulcan did the same before his scales started to change, hardening as he turned into the metal the hammer was made of, Tiramax. 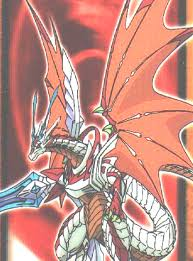 Now he stood there, being a metal dragon, his eyes turned into two glowing orbs of amber looking down on the now golden eyes of that dragon. "Now listen up! You can't just roam around, acting rude to those who come at you with kindness. You should better show some respect towards all of us and on top of that, you tried to threaten me. So this just became personal for me. If you want to challenge me, then get over here before I decide to make the first move, son." Would release a rumbling laugh at their reactions and the appearance of the little dragon, golden eyes focusing upon vulcan saying. "Listen old fool, you will die if you think to attack me. But if that's what you think you must do to salvage your lack of honor then proceed. But you are small and your fires will not harm me, so why don't you go talk down to the younger dragons who fear such illusions." Raises his head and then proceeds to ignore the others as he would gather up the bundles of his meat and check to make sure the carcasses skewered upon tail were still there. "I arrive and hunt and suddenly a crowd comes to welcome me with insults and foolish threats. Though I'd say theres a bit more smoke than fire." He chuckles amused by his own insult and then turns gaze back to kokoro. "So then little female, what is there you can tell me?" Vulcan stood there, silenced. Not because of the insult of the new dragon. Rather because he was close to fainting because it was such an amusement to see such a young dragon defend his small pride with such a loudmuzzle. After a while, he started to laugh. It was to entertaining for him to not enjoy that sight. "You...are just entertaining...Old fool? Illusions? Lack of honor? This is priceless. Really, you aren't any better than those young drakes after learning how to fly, bragging about how they ate so mighty until the slightest breeze throws them off course. Now listen, I've seen and heard enough to tell that all you're talking about is nothing more than an empty threat. You think you can save you little patch of pride by talking me down, trying to intimidate someone who has far more experience than you. But it seems like you only listen to real threats. Fine then, so be it." With these words, he grabbed his hammer with both claws and swung it, slamming into the direction the new dragon was standing. What had made Yin come down from the ozone layer? Well, you could just say plain boredom, and you'd be absolutely right. Not very many dragons could fly that high and not be lightheaded or fainted afterwards. She could smell a storm brewing near her, so she had decided to go check it out. "Man, I love being a dragon!" she said to herself gleefully as she flew in circles. Yin didn't have wings, so it was a wonder how she flew, and even more of a wonder how she flew so fast. It was like watching a comet. In fact, her appearance itself was indistinguishable from a speeding comet. Even though she wasn't actually part of the SkyWings, Yin considered herself a SkyWing. She lived in their general area, after all. Smirking, she did a double 360 and suddenly shot down to earth faster then a speeding comet. As she flew and enjoyed herself, she spotted a group of dragons. She tilted her head in midflight, obviously confident enough with her skills that she wouldn't ram right into the ground. As she almost hit the ground, her body did a spin and she shot back up into the air. As she flew, it looked like a comet had just launched forward, then had sped back up. If not a comet then a UFO. Chibi yelled with all of her anger and hate at this dragon. "YOU ASKED FOR IT PUNK! WATCH AS YOU GET THROWN DOWN BY A TRAINEE!" She bagan to transfrom into her ultimate form (you can see in my signature). She stood tall, and far over the new dragon. "Do you like that?" She hollored at him as she shot a laser out of her sword arm stright at him. She then flew up in the air and charged at him with the sword arm, atttempting to him him right between his eyes. Nice god modding and auto chibi, further replys will be ignored. Avian rushed in quick and grabbed the handle of Vulcan's hammer, pushing it against himself and redirecting where it would land. "Vulcan! What in Shardas's name are you doing? " the blow landed on the ground, it did cause a shockwave(Come on! What Giant Hammer won't cause a shockwave if it hits the ground? ), but it hardly effect the dragon. The sneered as the turned back to Maljirix, "You! New one! What is your problem with your ego? KNOCK OFF THE ACT!" he shouted at the Lightning Dragon despite knowing Vulcan was at fault. Technically, both of them were at fault, pushing each other to the edge with threats, but however, Vulcan took the first move. Even so, it wasn't right of any of them to intimated or threaten each other. Chibi yelled with all of her anger and hate at this dragon. "YOU ASKED FOR IT PUNK! WATCH AS YOU GET THROWN DOWN BY A TRAINEE!" She bagan to transfrom into her ultimate form (you can see in my signature). She stood tall, and far over the new dragon. "Do you like that?" She hollored at him as she shot a laser out of her sword arm stright at him. She then flew up in the air and charged at him with the sword arm. She striked quickly and hit him right betweeen his eyes. Chibi kicked the defeated dragon down. "Your all talk newbie." She taunted him waiting for his useless reply. ^ Thats god modding . So I didn't god mod. Thanks for your understanding! Watched intently as someone rushed forward to knock aside the blow of the hammer. Golden eyes peering to the one that acted in his defense and says. "Thanks kindly, I have only come down from the sky to eat. Insulted and attacked by my own kind." He checks his hide bundles to make sure the meat wouldn't fall from them and raises head regarding those remaining. "It is customary to announce your name and rank to unknown dragons, not spout useless threats and intimidations." He plucks a piece of hanging meat from his bundle and nibbles upon it before saying. "Now as before, I am Malijirix, blue skywing. Now who are all of you?" actually you took the auto out but you still god modded, but I guess people don't learn the rules of live rp from forums. But you can't just change suddenly into some silly "Ultimate" form and begin attacking people. Changing shape takes time and certainly shooting lasers out of your arm is pretty silly. Well, it was in my chracter sheet. And it was accepted. Please tell me how I was god modding so I can fix the problem. I still don't understand how I "god modded".